1. So tell me something about yourself. Maxine: I am Maxine, I was once a little girl who dreamt of being a pilot, a soldier, a forensic pathologist or a beauty queen, but so grateful to be one of the many health care providers who serve Filipinos. 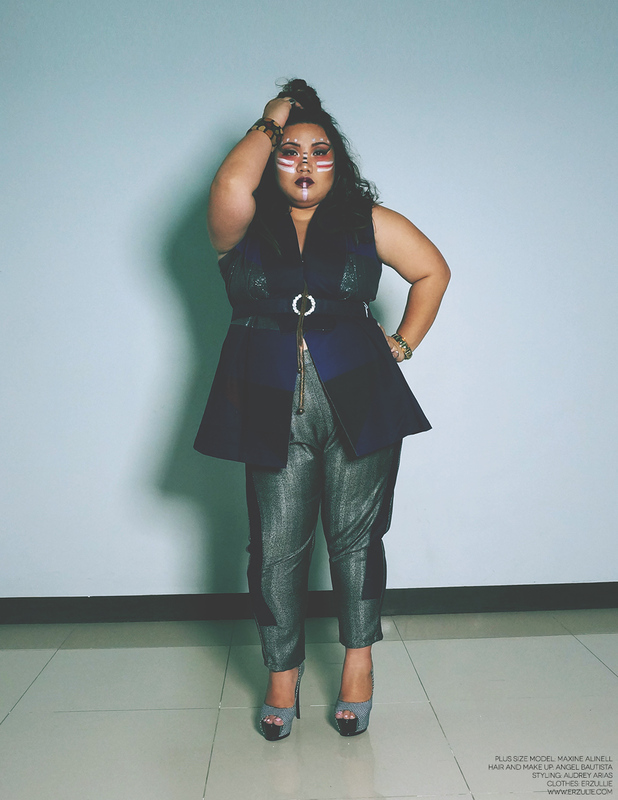 I am still able to work my way in fulfilling my dreams to be a plus size model as well. Angel: I am Angelique Lovelle C. Bautista, 27 years of age. Currently living with my parents with 2 other siblings together with their wives. I am the youngest and the only girl in my family but no, I am not spoiled. My parents raised, loved and supports us equally, no special treatments whatsoever. I am currently working at my brother's architectural and constructionl firm as 1 of the sales employees. I also do autocad (blue prints) and I manage our hardware as well. My mom wanted to train me in handling or managing our little family business since Ate Maxine and I always dreamed of having our own salon someday. 2. 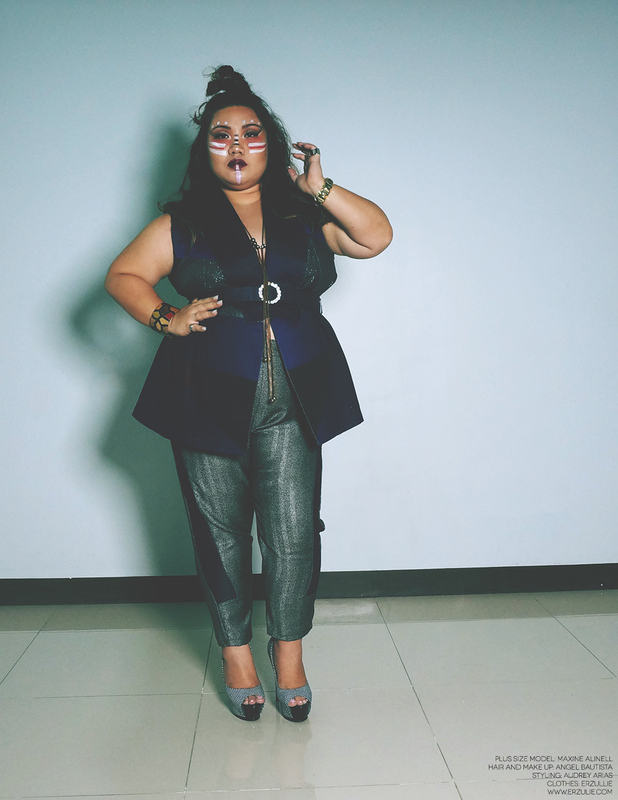 What makes you a fierce plus size woman? Why so? M: I am a fierce plus size woman because first and foremost, my size does not bother me, in fact, I think I look perfect in this size and might lose my radiance if I lose weight (hahaha). I am confident and comfortable with the way I look. Everywhere I go people perceive me as someone fun to be with. My bosses are confident that they can entrust important matters to me. I can face anyone whom I have to deal with. I can do what all the other girls can do. A: I don't run nor hide from any situations or circumstances that I have to deal with. Ate Maxine taught me how to handle things with class, grace, pose and with a focused mind. 3. 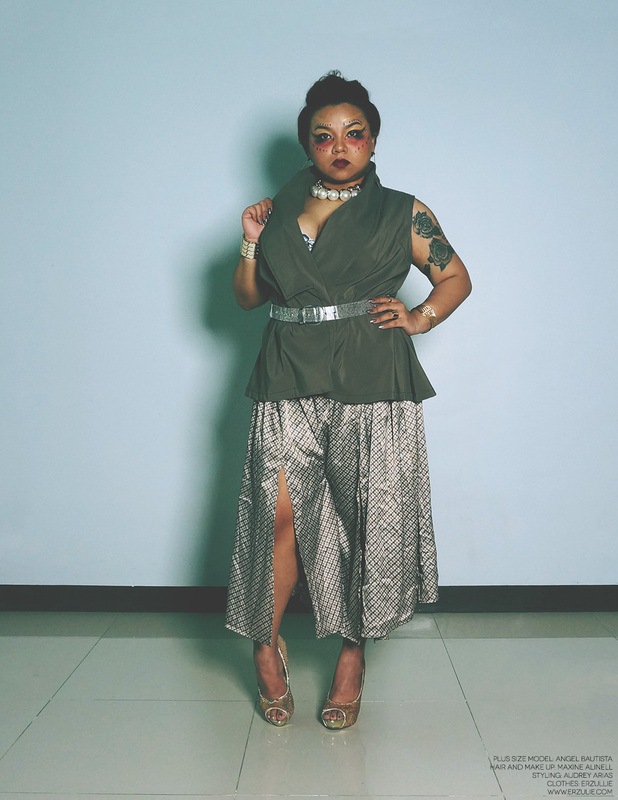 What's your plus size journey? M: Growing up of course I also dealt with the judgement of other people "papayat ka sayang maganda ka pa naman" so I did and I lost a lot of weight, my crushes liked me and everyone thinks I’m pretty, but being a girl from Spanish decent, I am really big boned and I would break them skipping ropes just to stay a bit slender than before. I tried to keep up with the standards of the society where in one must be thin to be beautiful and if you're a plus size you'll be stuck with straight denim jeans and a man size shirt. So I really tried hard to lose weight, but then one day I have realized this is me, this is my size. A: My journey was difficult. I struggle from my weight as a kid. Back in elementary, I was bullied because of it. My insecurities grew. I really felt ugly. My junior year was I think the start of me trying to break free, because I was so tired of hearing my own thoughts. Depression grew stronger and it kept me down and out. My P.E. professor saw me late afternoon at the gym, playing volleyball with few friends at school. I think at that time, it was the only way I know how to release my anger, my tensions, my depression and my frustration about myself. She asked me to join the varsity team, which i did. At first I thought maybe me, wanting or having a sister wasn't written in the sky, until fate turned around. I met Ate Maxine. She may not know this or may not be fully aware, but she helped me in so many things in different levels. From this "full of insecurities, full of doubts and wasn’t trusting myself as much as I’m suppose to" type of girl to this fearless woman that i am today, who never backs down on everything and anything life throws at me. She opened a lot of doors for me, helped me think straight, helped me fought my inner demons, how to overcome fear and mold me into the woman that i am today. I owe her everything. M: I met Angel back in July 1, 2007, my birthday, that time she was my brother's girlfriend and I was in a (somewhat) toxic relationship. It’s a shame that she was also in a not so happy situation with my brother and because we were able to talk over a few bottles during my celebration, it progressed into a deeper friendship. I would call her after school just to talk about anything because seriously that time was full of drama for the both of us but of course we also talk about our favorite things: makeup and food! A: It’s a funny story to be honest. We met through her youngest brother, which was my ex-boyfriend. Her brother asked me to go to their house 1 afternoon. Only to find out, that it was Ate Maxine's 19th birthday. That was the first time we actually talked, bonded and get to know each other a little bit better. The rest was history. 5. How did you discover Erzullie? 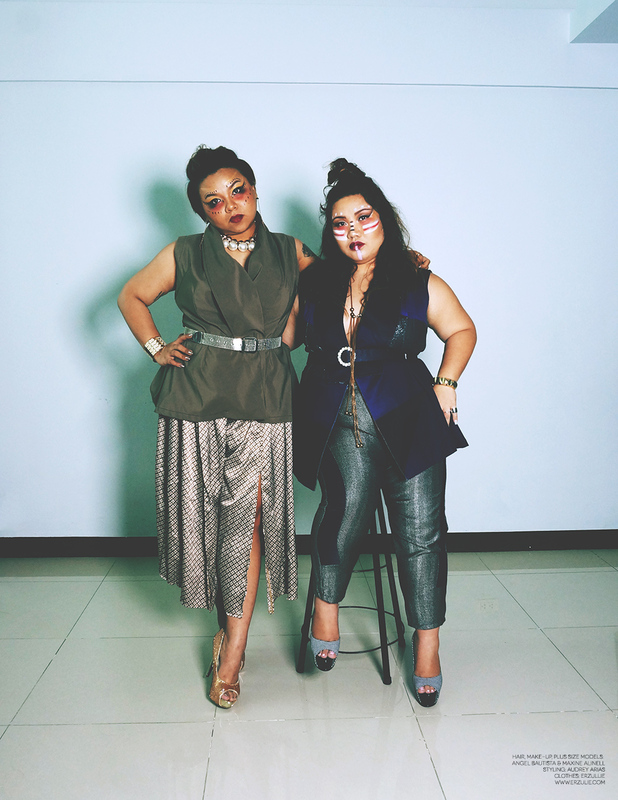 M: I discovered Erzullie through Angel, we both want to be plus size models, but didn’t know where to apply because some plus size models are actresses. We didnt have any idea where to go until Angel called me that she got an invitation for the open photoshoot, at first we were both unconvinced to do it because it’s the first ever time that someone is going to take our picture and my goodness it’s a clothing line so we were like "wag na baka mahiya lang tayo dun syempre mga pupunta sanay na" plus we were so afraid that we might end up getting yelled at by designers and stylists just like on TV haha but then i said "Let’s go! Let’s just do it for the experience!" A: I was tagged by one of my friends who also liked and followed Erzullie’s Instagram and Facebook. I was thrilled and joined right away! But as the shoot got nearer, I got overwhelmed and scared. That's why I backed out before. I never told Ate Maxine about it because she was busy with thesis, and so was I.
I never told her until she asked after our first open shoot this year. She laughed at my face and said, "Hey look where are you now? Look at us now. We're here. We're together. Maybe that's why you backed out. All you needed was us." Which I totally agreed with her 100%. I think at the end of each day, i needed "US". Maybe because we're both tired at the end of each day, and we needed "US" to recharge ourselves. We're like each other's personal happy pill or stress relivers. If that make sense. 6. How was your experience with Erzullie? M: My experience with Erzullie has been amazing. I have always enjoyed being plus size but Erzullie and being around the Erzulliestas made me love myself more, celebrate what God has given me in terms of physical and what my heart can offer. It taught me that the fashion industry is not filled with unapproachable people because the girls even the icons were so welcoming considering that they have been featured in various plus size events in the country. Erzullie is a dream come true. The open photoshoot was really a nail biter for me at first but when the Erzullie team started talking to me I was like "gosh model for a day!". I had to rehearse poses before the big day and I’m just so glad that during the photoshoot the three amazing ladies guided me and taught me how to pose like a pro. I remember after the shoot my colleagues would say "blooming ka simula nun nagshoot ka ha" it gave more positive energy. A: Erzullie is like home. It’s where you meet and support other women regardless of age or work. 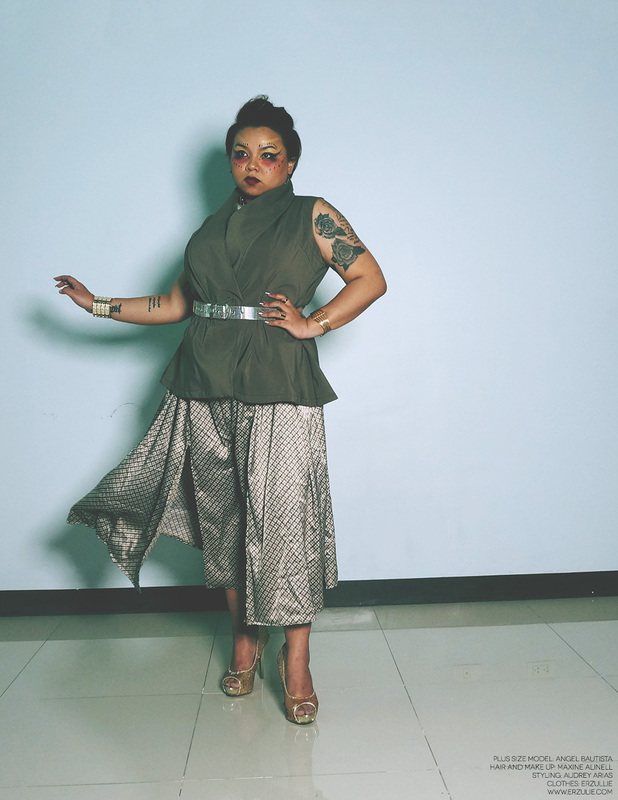 Erzullie supports plus size women, to have confidence about themselves. To overcome their personal demons, like insecurities, doubts or even not knowing your self worth. 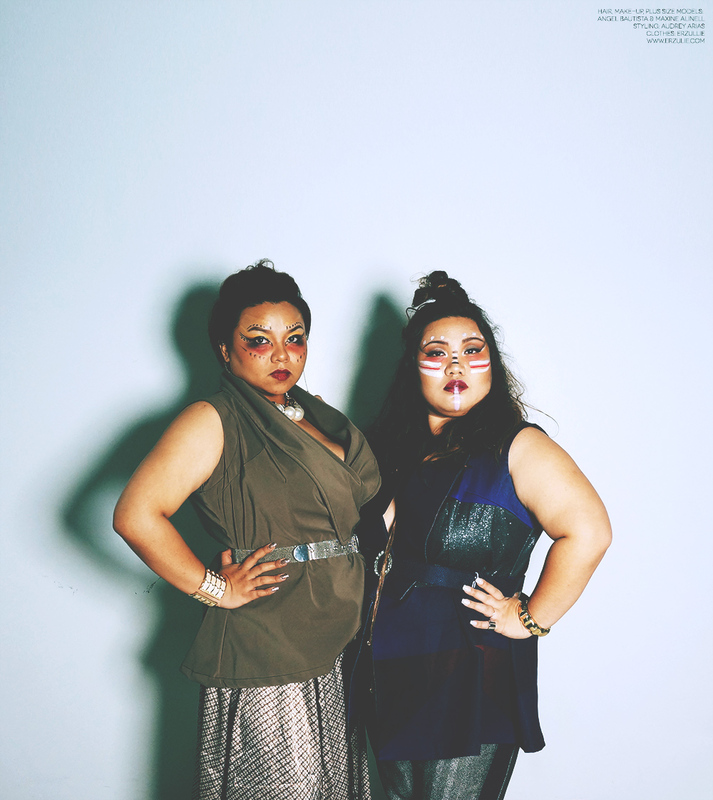 Erzullie is not like your typical "plus size fashion" company or brand, it’s about being a family. It’s nothing but pure love, positive energy and support. Erzullie is giving people like me a chance to live the way I wanted to live my life despite of my weight, or how my body looks like. Erzullie is giving people like me strength, pride and power to overcome the inner demons that lives inside of us. FIERCE honey. FIERCE! Honestly, it was nerve-wrecking! Now I know why first time models are so tense to the point where they have to call somebody for support or they watched and asked others how to pose correctly. How to flirt or how to express emotions using their eyes without moving the face. All is well, it was an awesome experience! 7. What do you think an Erzulliesta is? Why so? A: An Erzullieta is a fearless woman. An Erzulliesta is a woman who can overcome anything and everything life or people betowed upon her and she will rise up 10x stronger and wiser than before. I am a full blooded Erzulliesta. I love myself and my body to the point where I don't let anything or anyone to degrade me or hold something against me just because I'm big. I support other women who has the same thinking as mine, regardless of race, culture, status and/or age. I respect and love myself enough to be fully aware of my worth as a human, as a woman and as a child of God. M: To all the Erzulliestas, we're all amazingly beautiful. You are special because you did not allow yourself to be one of the people who have a very limited meaning of beauty. To those who are still working your way towards self-love, please don’t let anyone tell you that you must lose weight to be beautiful. Tell them "If I’m not a beauty, then why were you so busy looking at me?" Let’s spread love Erzulliestas, see you all soon!!! A: My message for the Erzulliestas isalways believe in yourself. Let go of all the doubts and insecurities you have in you. You are beautiful no matter what size you are. You are an amazing individual, you just have to find your own voice to stand up for yourself and be proud of who you are. You have the Erzullie blood/ power in you woman, you just have to set it free!